Mobile devices turned out to be a necessity rather than a luxury to individuals and to many organizations as well. The use of these devices has proven an increased in productivity, thus, contributed a lot on industry growth. As enterprises embrace mobile-dependent strategies, the use of tablets and smartphones becomes significant. Hence, the need for an advanced threat protection such as a mobile threat defense (MTD). Why Choose A Mobile Threat Defense Solution? Some call it mobile threat defense, others call mobile threat management. Regardless of the terminologies, security solutions share one common goal - to secure mobile devices against all possible threats. The need for sophisticated security solutions become clearer as organizations adapt to the need of the modern society,. Mobile devices now face an increasing number of security threats. Keep in mind that these challenges aren’t just about conventional threats such as viruses, we’re talking about more serious attacks such as malware injection, zero-days attacks and even advanced network attacks. According to a report released by Gartner, the world’s leading research and advisory company, it was estimated that 30% of organizations will have a mobile threat defense solution in place by the year 2020. It is safe to say that mobile security threats can no longer be ignored. Thus, it is imperative to know and understand the importance of an advanced threat protection solution and how to integrate them on your existing security tools. Mobile security solutions aren’t just made to protect enterprises from viruses and other internet-based threats, these strategies also aim to reduce the risk of possible attacks by highlighting vulnerabilities that may occur in an organization’s mobile system. Unfortunately, mobile devices have become the home to many threats. As efficient as they are, these devices have become the main target of hackers as these are the easiest way for network breaches. To achieve an effective result from an advanced threat protection, it is essential for you to know the most common type of risks and attacks designed specifically for mobile devices. These are techniques made by hackers either for obtaining sensitive data or for financial gain. MALWARE By far the fastest growing malware in the industry today, mobile malware is expected to account for one-third of the total malware by the year 2019. Mobile threat defense solutions can help prevent malware from inflicting an organization’s networks by scanning devices and applications to look for possible malicious content. Security teams will then be informed when a malware has been found. This type of an advanced threat protection will not just detect installed or downloaded malware, it will also monitor suspicious domains, preventing any attempts to download risky files before they can even get into the device. PHISHING You may have heard or seen this term before, or you may be completely tired of it. We all feel the same. This form of threat has been around for quite sometime now, and sadly, it has reached the mobile world. In fact, it is now considered as the top mobile threat kicking malware out of the spotlight. Phishing is an attempt of obtaining sensitive information such as corporate data. It happens either through direct manipulation or by getting users to click on illegitimate apps through fake accounts or links. This trick is distributed through social media, SMS and even on applications. Mobile threat defense provides an active visibility whenever a user navigates to a possible mobile phishing page while some of the most advanced solutions instantly block access to these phishing links as soon as the user tries to access it. Fortunately, as the number of mobile threats increased, number of security vendors offering advanced threat protection solutions also increased. Comodo’s advanced threat protection can offer a total security for your organization. 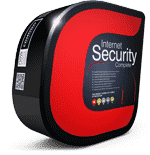 Powered by five effective layers of strong defense which includes DNS filtering, Secure Web Gateway, Antispam, Data Loss Prevention and a Virtual Appliance Wall, it is now considered as one of the best advanced threat protection in the market today. 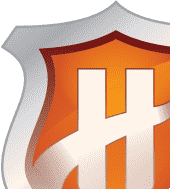 What makes Comodo’s advanced threat protection even better than its competitors is its containment technology. 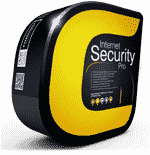 This special feature is made to prevent zero-day attacks from gaining access to your networks. 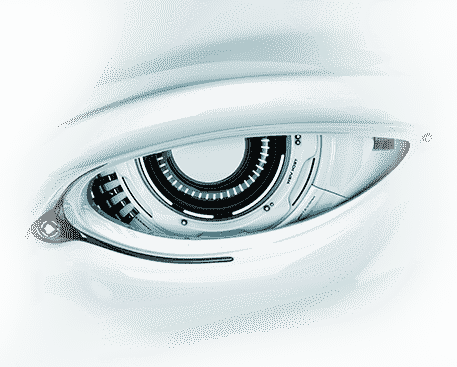 Also, Comodo’s advanced threat protection allows you to access files in real time while analyzing unknown threats at the same time resulting to an effective threat prevention and an increased in productivity. Secure your organization’s future, choose Comodo Antispam Gateway today! Visit our website at https://enterprise.comodo.com/anti-spam-gateway/ to find out more about advanced threat protection.